Chatting with your friends is great and all, but the Switch online app’s best Splatoon 2 feature is Annie’s SplatNet Gear Shop, featuring a rotating stock of exclusive items for the discerning squid kid. 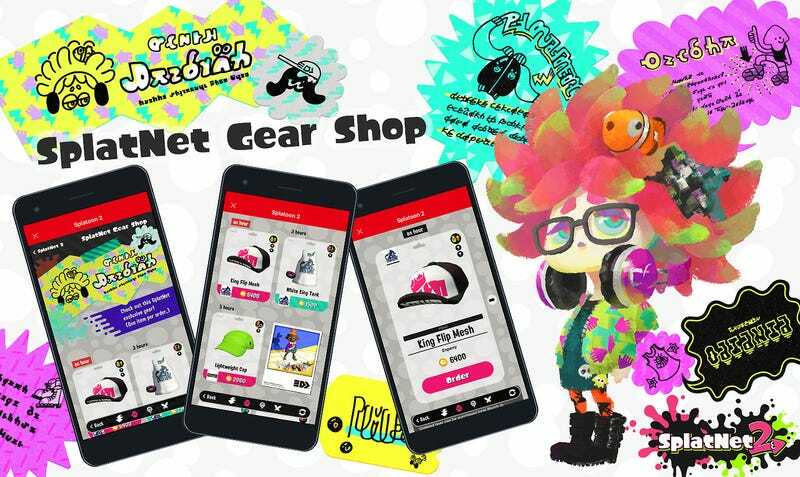 The SplatNet Gear Shop allows players to purchase exclusive timed items outside of Splatoon 2 proper. Unlike the in-game shops, which refresh their inventory every 24 hours, the shirts and hats in the SplatNet shop rotate in an out on a regular basis. Gear purchased in Annie’s SplatNet Gear Shop will have different abilities than the same gear purchased in the game. Players can only order one piece of gear from the SplatNet Gear Shop at a time. Once ordered, the player has to visit Murch in the main plaza to pick it up. Once the order is picked up, players can head right back into the app and purchase again. One of the cool things about the system is you don’t need to have the money on hand to order an item from the shop. Murch will hold on to your piece of equipment until you’re ready to buy. Think of it as a layaway, and a good incentive to go play. I will not rest until my squid kid is rocking this Logo Aloha Shirt. In fact, be right back. There we go. Next up on my hit list, this jacket. It’s pricey, but I’m worth it.